Graffiti fonts are quite voguish and bright fonts which have a funky and cool look. These fonts impart a fun mood and whenever we see them our positive energies are ignited. This is the greatest benefit and a really big plus point of these fonts. So using these fonts in your projects can help you grab attention of the visitors and make them happy in a way. May different kinds of graffiti fonts are available out there. They come in many different styles. You can use them to create any fun graffiti style artworks or logos or presentations etc. Just make sure you choose the right and well suited one for your project. So today we have a list of some amazing graffiti fonts for you all. The best thing about them is that they are free to use, so you can download them and use them in your project. Check them out and pick the ones that you like the most. 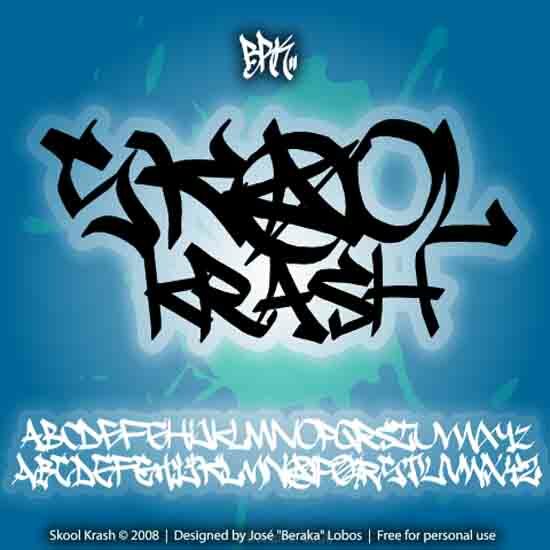 It is very huge graffiti fonts collection, it is very useful, i like your work. thanks for sharing nice post. awesome graffiti fonts collection… will go ahead and use some of these fonts in my current projects. nice round-up, thanks. Very nice and beautiful fonts! Just downloaded all… Will use them on my projects.